Located three blocks north of Hill’s gallery, the non-profit Experimental Station was built on a legacy of environmental and artistic activity. Its building was home to Chicago’s first recycling center, Kenn Dunn’s Resource Center, and then became a hub of activity around the studio of artist Dan Peterman, whose work is centered around reuse. Today, Experimental Station fosters a dynamic ecology of cultural programs and initiatives to meet local needs. It does so through running a community bike shop as a youth program, a farmers market, a program doubling the value of food stamps at farmers markets, and arts and culture events, while also incubating businesses and hosting community journalism projects. Saturdays, 9/29, 12:30-1:30PM - Norman Long’s Three Block Sound Walk (depart from 61st and Dorchester) - the 10/6 soundwalk was cancelled due to severe weather. Note: All are free and open to the public. They will take place Experimental Station (6100 S. Blackstone) unless otherwise noted. Sasha Earle and Brett Sweeney of Cream Co.
William Hill is an artist, gallerist, and maker of green spaces. Some of these green spaces can be found here: Dorchester Botanical Garden and Woodlawn Botanical Nature Center. The William Hill Gallery, located in the Woodlawn-Hyde Park community of Chicago, exhibits the work of distinguished visual artists who are devoted to the critical investigation of nature, culture, race, gender and the postcolonial imagination. With an emphasis on painting, photography, sculpture, video and installation art, these artists highlight postmodern strategies, which challenge traditional modes of representation. William Hill Gallery is dedicated to the exhibition, scholarship and acquisition of 21st century contemporary art. Alpha Bruton creates environmental art installations where objects and images are selected to “serve as cultural mirrors" and the sites in which they are situated serve as part of a broader cultural commentary. She is also an art consultant, and chief curator for the Phantom Gallery Chicago. Gerald Sanders, a self taught artist, has been drawing since the age of five. His work has been selling since eleven. He has been teaching art since age fifteen. Before he graduated from High School, Mrs. Rose Kennedy, mother of the President, Senator Edward M. Kennedy & the Sears Foundation were owners of a Sanders original. Currently his artwork can be found in collections across the United States. 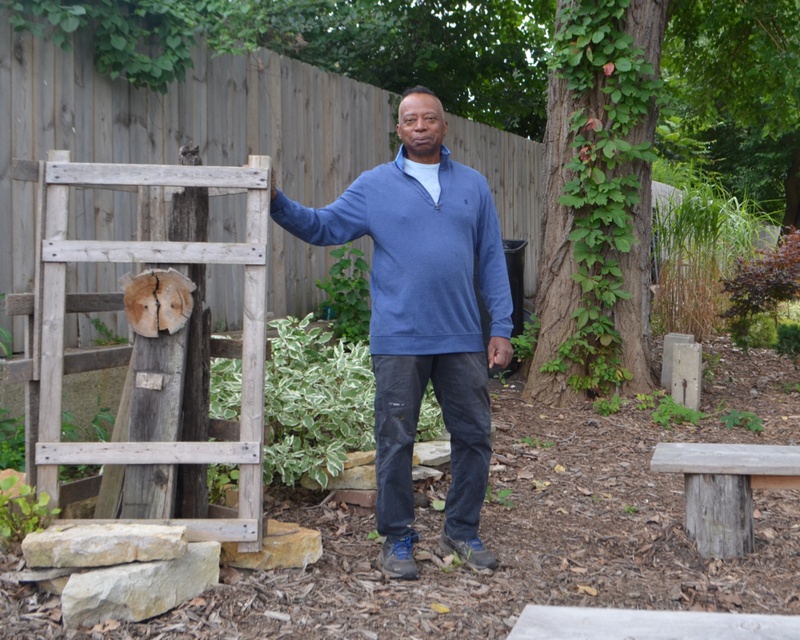 After numerous exhibitions, sales & awards, Mr. Sanders has been recognized as one of the most successful teachers & developer of professional artists outside of an institution in the city of Chicago. He is one of Chicago's "Best Kept Secrets". Peter Gray: "Art in Science - At his Metal-i-Genics Studio in Chicago, Gray captures the aesthetics of genetics, microbiology, and physics in bronze and steel sculptures. His goal is to create something that has both an aesthetic value as a sculpture and then also leads to further questioning by the viewer. “In science, you should always keep in mind that in what you're observing there is a true inherent beauty. I often felt provoked by the artistic qualities of the images I encountered in the lab,” Gray says. “Artists, scientists, and technologists look at structure and pattern in the universe, whether visible or invisible to the naked eye. His exhibitions explore how some of today's scientific fields of systems science, chaos, fractals, genetics, molecular science, plus nature itself, are used to create two - and three - dimensional art of provocative and sumptuous pattern. (Science Issues & Perspectives)"